J. Robb Grover, Research Collaborator at Brookhaven National Laboratory, has been recognized by Marquis Who’s Who Top Scientists for dedication, achievements, and leadership in chemistry. Interested in science since he was a kid, Dr. Grover is proud to have made his dream of advancing the field a reality. He joined Brookhaven National Laboratory in New York as a research associate in 1957, and quickly realized he had found a home. He proceeded to serve the company as an associate chemist from 1959 to 1963, a chemist from 1963 to 1967, a tenured chemist from 1967 to 1977 and a senior chemist from 1978 to 1993. In 1993, Dr. Grover accepted the position of research collaborator, and he has been in that role ever since. He considers some of his greatest accomplishments to be naming nuclear yrast levels and discovering their importance in nuclear reactions, inventing the use of short-lived radioactivity in molecular beams, being the first to successfully use radioactivity for detection in chemically reactive scattering experiments, and inventing the threshold photoionization method for measuring the dissociation energies of neutral weak complexes in molecular beams. Outside of the lab, Dr. Grover was also very active in his community. Some of his more notable positions include being a visiting professor at the Institute for Molecular Science in Japan, a visiting scientist at the Max Planck Institute for Research in Fluid Dynamics in Germany, and for ten years he served as the associate editor of the Annual Review of Nuclear Science through Annual Reviews, Inc. 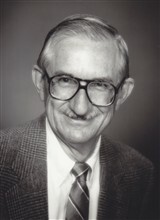 Furthermore, Dr. Grover was a consultant for the Lawrence Livermore National Laboratory. He also served as the Chairman of Nuclear Chemistry Technology. He also authored 2018’s “Portland’s Gold” and has contributed to numerous articles to professional journals throughout his career. His professional designations include a PhD from the University of California, Berkeley, and a Bachelor of Science from the University of Washington, where he was the valedictorian.